We didn’t know it at the time, but the 1991 World Series between the Atlanta Braves and the Minnesota Twins would become one of the best we’d ever see. Surprisingly, each team featured only two future Hall of Fame players, Jack Morris and Kirby Puckett from Minnesota, along with Tom Glavine and John Smoltz from Atlanta. While the teams weren’t stacked with legendary players, they were stacked with talent, grit, and a resilience that showed every game. The Twins won the first two games of the Series behind the strong pitching of Morris and the power bats of Kent Hrbek and Chili Davis. Down 2-0, the Braves headed home to Fulton County Stadium needing three wins to regain the home field advantage and send the series back to Minnesota. Game 3 saw the Braves outlast the Twins 3-2 in 12 innings, followed by a 5-4 victory in Game 4 and a blowout win in Game 5. Back to the Metrodome they went. “And we will see you tomorrow night,” rang out the smooth voice of television broadcaster Jack Buck, as the 11th inning walk-off home run flew into the bleachers off the bat of Twins outfielder Kirby Puckett. A great series, already, this one would go to a 7th and deciding game. It was one for the ages. Morris and Smoltz dominated on the mound throughout the game, throwing inning after inning of shutout baseball. Smoltz exited in the 8th in a still-scoreless game. It remained so through the 8th. And the 9th. Tension mounted as Morris took the mound in the top of the 10th inning, facing the Braves lineup for the 5th time that game. Scoreless again. Dan Gladden led off with a double for the Twins in the bottom of the 10th and was bunted to third base by Chuck Knoblauch. After two intentional walks to load the bases, Twins utility man, Gene Larkin, stepped to the plate with a chance to end the game. Gladden raced home as Larkin laced one into the gap for the series victory. Seven-game series. Five games decide by one run, with three of those going extra innings. Gutsy performances on all sides. Truly, this was an amazing World Series. What makes it more amazing, however, is the 1990 season for each of these teams. Before the remarkable run to the World Series in 1991, each of these franchises was dead in the water the previous season. In 1990, the Braves went 65-97, finishing last in the National League West. In 1990, the Twins went 74-88, finishing last in the American League West. There was no reason to think either one of these teams would even finish with a winning record, much less, get to the World Series. There’s something about Spring Training. John Fogerty said it best, perhaps, in his “Centerfield” anthem about the game. “We’re born again, there’s new grass on the field.” Nothing could be truer of Spring Training. Everything is new, everything is fresh, everything is hopeful. Even for teams that finished last the previous year. As camp opened for the Braves and the Twins in 1991, they, like all the other franchises, shook off the abysmal previous season and got to work. The additions of free agents infused new talent and excitement, providing each clubhouse with reason to be optimistic. Front office and dugout adjustments put new management in place. New season. New outlook. New opportunity. That’s what Spring Training brings. And in a far greater way, that’s what Easter brings. The Cross and the tomb, just like the 1990 season for these two teams, seemed to signal the end for Jesus. At the time, his disciples ran away, mourned their loss, wondered about their future, and questioned everything Jesus told them. At the time, the Jewish religious leaders celebrated the death of one they called a ‘blasphemer.’ At the time, the Romans laughed at this so-called ‘King of the Jews,’ who now hung shamefully on a wooden cross. At the time, it was over, finished, done. That was before Resurrection Sunday, before the ultimate Spring Training. After that, everything changed. After that, the disciples received undying hope, power, and confidence. After that, the world was never the same. The most comprehensive commentary in Scripture on the Resurrection is from the Apostle Paul in 1 Corinthians 15. Throughout this letter, Paul wrote words of correction to his brothers and sisters in Corinth. They were out of line in many areas of theology and behavior. As he concluded his teaching, he wrote of what would bring unity to the church, what they simply had to agree on, what would ultimately change their lives—the Resurrection of Jesus Christ. It’s worth taking the time to pause reading this to read all of 1 Corinthians 15. It’s almost as if Paul was a coach prepping his team for another season. Look back at 1 Corinthians 15:1-11. Jesus died, was buried, and rose again. Paul’s tone isn’t one of suggestion, nor is he argumentative. He is simply stating the facts. In these verses, Paul states an emphatic proof of the Resurrection: Jesus, after his death, appeared to many people on several occasions. First, he visited with his disciples. Then, a large gathering of his followers. Next, to James and then again to all the disciples. Finally, the Lord appeared to Paul on the road to Damascus. Regarding those who had seen the Risen Savior, Paul stated, “Most of whom remain until now, but some have fallen asleep.” In other words, go ask them. Most of them are still alive. They will tell you they didn’t see a ghost. Jesus is alive. Not only did Jesus appear, but Paul also states that he was raised on ‘the third day.’ He counted it as a real event, not something symbolic. It was on that third day, just as Jesus had previously predicted, that the Savior came forth from the tomb. It wasn’t Paul’s belief that made the Resurrection real. It was the Resurrection that dictated his belief. That same living faith in a living Savior was evident in the lives and ministries of the disciples who had known Jesus before the Cross and then saw him after the resurrection. Whereas once they were defeated when Jesus died, now they were given new hope because of the reality of the Resurrection. The Resurrection is real. Just like Spring Training in baseball. If it weren’t real, teams would have no reason for optimism, no reason to try, no reason to know they can begin again with the start of a new season. Because it is real, so is everything that comes with it. Just as the Cross and tomb were real—Jesus really died and was really buried (and that last season really happened—the Resurrection is real (he is alive and a new season is upon us). Think of this. It would be ludicrous for a Major League team to believe it had a chance in the upcoming season if the season didn’t start over again. If a team lost 100 games the season before, and inherited that same record at the beginning of the next, no one in their right mind would say they had a chance. The deficit is just too much to overcome. And anyone on the team who said they had a chance would be laughed out of the press conference. Spring Training is essential each year, because it signals the start of something new, a break with the past. In the same way—and far greater—the Resurrection is essential to our lives as believers in Jesus. Without it, Paul explains in 1 Corinthians 15:12-19, we are fools and have no hope. Plain and simple. Without the Resurrection, we aren’t just good people who have been misguided. We are stupid. Hear what Paul says. First, some argued that there is no life after this one. If that’s the case, he says, there’s no way Jesus was resurrected. Second, if he was not resurrected, then what he and the others preached—the resurrection of Jesus—was pointless. Third, if their following of Jesus had no eternal component and was only for this life, they were fools to be pitied. Better to live it up, do what you want, throw caution to the wind, than to live for a lie. So, the Resurrection is essential to Christian faith. It is the linchpin that holds everything else together. If Jesus was not resurrected, then he has no power over death, which makes him a liar and a false teacher. If Jesus was not resurrected, those who follow him are fools. If Jesus was not resurrected, life is a slow march to an inevitable grave that ends it all. But Paul and the other apostles didn’t live like that. They lived with power, hope, and courage. Having seen the Risen Lord, they knew the Resurrection was real and preached it as an essential—and glorious—part of Christian faith. The argument sometimes goes: If I live a good Christian life and it turns out that it was based on something that wasn’t true, I haven’t really lost anything. I lived a good life and did good things for people. Paul begs to differ: there is no sense in living a ‘good, Christian life’ if the Savior we count on is a farce. Instead, if we live such a life without cause, we have wasted our lives and should have instead done what we pleased. 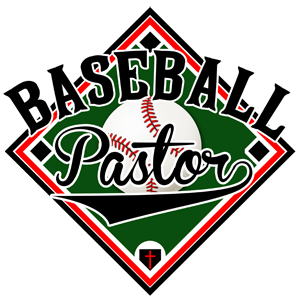 The Resurrection is essential to our faith, just as Spring Training is essential to Major League teams. Each year, the baseball world fixates on the Spring Training sites in Florida and Arizona. Speculation runs rampant about which teams will soar and which will fall. Yet, inside each clubhouse, hope springs eternal. Spring Training brings the promise of a new start, the promise of last season being forgotten, and the promise of a shot at redemption. Promise. It’s what Spring Training is all about. And it’s what the Resurrection is all about. In 1 Corinthians 15:20-28, Paul wrote of the promise guaranteed to all believers by the Resurrection of Christ. Jesus, he said, was the first of the resurrection one day promised to believers. In Adam, he explains, we all died because of sin (that was the punishment from the beginning). In Jesus, however, that is reversed, and we all live eternally because of him, having our deaths erased by his resurrection. Our greatest rival, our greatest enemy, is death, Paul states in verse 26. It is what conquers each of our physical bodies. But it does not have the last word for believers in Jesus. The resurrection brings the promise of eternal life beyond the grave. It brings the promise that this world is not all there is, that this life is just temporary, that we are just passing through. Each Easter, we are reminded of the promise of the Resurrection, that the new life given to us by Christ at the moment we receive by faith his gracious offer of forgiveness will one day reach its pinnacle. In fact, each Sunday, we celebrate a ‘mini-Easter,’ gathering as believers on the Lord’s Day to commemorate again his conquering of death on our behalf. Teams love Spring Training because it offers promise. Far more, we love Easter because of the promise Jesus gave us—one day, we will be with him forever in resurrected bodies, never to break down or die again. Players walk and act a little different at Spring Training. They arrive in great shape, ready for the challenges of the season, refreshed by the old being gone and the new having arrived. Spring Training does something to them. Whereas once, perhaps at the end of a losing season, they were discouraged and doubtful, they arrive at Spring Training excited and optimistic. Hard work ensues, along with positive talk of what they believe can be accomplished in the upcoming season. Spring Training transforms them. er ignorant of the things of God, but has knowledge of the Lord. The Resurrection transformed the disciples completely. Out of pride, James and John asked for places of honor in the Lord’s kingdom. Out of ignorance, Peter told Jesus to avoid the Cross. Out of fatigue, those three fell asleep as Jesus prayed in the Garden of Gethsemane. Out of fear, they denied him, ran away from him, hid from him. After the Resurrection, however, none of them were ever the same. Understanding replaced ignorance. Endurance replaced fatigue. Boldness replaced fear. It would be crazy to see a player show up to Spring Training and tell everyone his team has no chance, that he doesn’t care if he does well, that he isn’t even sure he wants to play. It is equally crazy to see so-called Christians live no differently as a result of their claimed faith in Jesus. If he is the resurrected Lord, our lives will be different when he takes them over. The Resurrection changes us. It changes everything. It happens each year, Spring Training does. This year. Next year. The year after. It’s a permanent thing. When things aren’t going well in a particular season, players and teams can count on it next spring. In 1 Corinthians 15:35-49, Paul wrote about the permanence of the Resurrection. While in this life, we exist in bodies that are temporary. Visit any local cemetery to be reminded of that. Better yet, just look in the mirror and compare what you see to those old photo albums. Even more so, just pay attention to what now hurts that never did. Our bodies are temporary. They will fail us eventually, breaking down and eventually dying. It’s not a fun truth to hear, but it’s the truth. Everything that goes with our bodies is temporary. Looks, ability, talent, memory, aptitude, skill, strength, youth. All of it will one day disappear. What great news, huh? It’s amazing how much we long for something that is permanent. Entire industries are built on convincing us that we can retain or regain our youth, beauty, and strength. Like the suckers we are, we spend billions on it each year, all while ignoring or denying the inevitable. Death is certain. This body is temporary. In other words, one day, when Jesus returns, he will complete the resurrection begun with his own. We will receive a permanent, undying body from Jesus, replacing this temporary one. It won’t wear out, won’t break down, and won’t die. It will be ‘from heaven,’ meaning it will be fit for dwelling there. It will be just like the one Jesus had after his resurrection, glorified, made complete, totally without sin or pain. That is a permanent hope, guaranteed by the resurrection of Jesus on that third day. Wouldn’t it be great if Spring Training literally guaranteed wins during the season? Play well during Spring Training and you’ll win every game. We know it doesn’t work that way, obviously, and this is where our analogy runs out to a degree. Spring Training offers a chance to start fresh and know that victory is possible, but the Resurrection IS victory, literal, complete, and forever. In a famous set of verses, Paul wrote about the victory Christians have in the resurrection of Christ. Verses 50-57 cover it, describing first how believers who have died will be raised again, putting on those new bodies, and meeting Jesus to be with him forever. All that is temporary and perishable, he reiterates, will be overwhelmed in that moment by all that is permanent and imperishable. Whatever is mortal takes on its immortality when Jesus returns. Death, he shouts, will be swallowed up in the victory of Christ, given to, and experienced by, believers for all eternity. That greatest of all human enemies, because of the Resurrection, has no hold on believers. It has been defeated by the resurrection of Jesus and will one day be finally defeated at the return of Jesus. Therefore, we have nothing to fear. Not even death is the end for followers of Jesus. And nothing that comes with death, nothing that precedes it, nothing that previews it…none of that is reason to fear, to live defeated. Because of Jesus, the sting and pain of death are removed, even though they must be experienced. Because of Jesus, we are given victory over our greatest enemy and all that it represents. Victory over sin, over temptation, over your past, over what’s holding you back in live, over bad habits, over fear, over relationship trouble, over death. Forever. The Resurrection is guaranteed victory, far beyond the hope of victory Spring Training brings. Every year, it’s cool to see and hear of the optimism surrounding teams at Spring Training. Everyone is upbeat. Everyone believes they have a chance. Everyone can’t wait to get started. Spring Training is perhaps the most encouraging time of the year in baseball. No one gives up in Spring Training. They know the work will pay off. Steadfast…keep living for the Lord, keep doing his will, keep seeking him every day, keep studying his word, keep surrendering to him, keep letting him live through you, keep going with what he’s called you to be and do. Immovable…in your convictions about the Cross and resurrection, in your belief that Jesus is the only way, in your fight against your own sin, in your desire to see others know Jesus, in your love for God, in your love for your neighbor, in your love for your enemies. Abounding in the work of the Lord…make disciples, be his witness, speak in his name, live for his kingdom. Not in vain…don’t give up, keep going, endure until the end. Be encouraged that what you’re doing, how you’re living, what you’re believing is based on the fact of the resurrection and the hope of eternity. Just as no one gives up in Spring Training, no Christian must give up in light of the Resurrection. 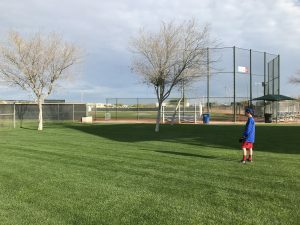 How would teams play if every day were the start of Spring Training? How would you live if every day were Resurrection Sunday? Entering Spring Training in 1991, the Braves and Twins both knew everything was new again. Last year was gone and with it went all those failures. Entering Easter Sunday, every Sunday, and each day in between, know that for the believer in Christ, everything is new again. All the old is gone. The new has come. Death has no victory. This life is temporary.